When you think of Russian musician you probably conjure dodgy memories of t.A.T.u., or maybe Rachmaninoff if you’re more classically inclined. 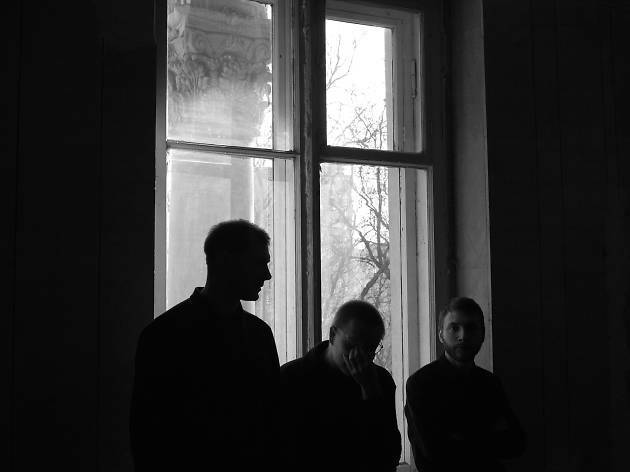 But you need to think again because not only is Russia in 2017 a hotbed of post-punk revival and shoegaze, it’s producing some of the finest the genre has seen since the heyday of bands like Joy Division and My Bloody Valentine. We have a bunch of different demos with chord progressions or melodies recorded in a dictaphone and in our home portastudio. From time to time we come back to check them, then we add something, change, re-record, play with the structures, use different instruments. Normally, I writing voice melodies at the end, that’s how it goes in my case. Do you ever get tired of people comparing Motorama to other bands? 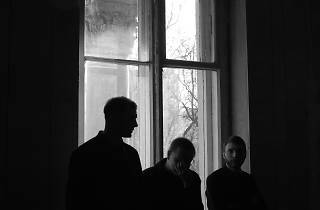 Less talented bands than Motorama have achieved recognition on a larger scale. Is that frustrating for you or do you guys thrive on being more underground? I don’t know, I don’t think we’ve ever thought about this, actually. I think that we’re a lucky band and I’m happy with what we have for the moment. Do you guys see yourself as a logical continuation of the work done by UK bands in the late 70s and throughout the 80s? Our band is more about 60s, 70s, 80s Soviet rock and new wave music but in English. Soviet post-punk and pop music influenced us a lot. It was a part of our childhood. And now, we’re trying to bring this spirit with our specific dimension. You’ve been recording at home when I’m sure you’ve had plenty of offers to move into a studio, why is this? I like writing and recording songs at home. It’s fast, cheap and the sound is not too professional and clean. Though, we are interested in learning sound engineering and mixing. How do you feel about coming to Hong Kong and what can we expect? We’ve never been to Hong Kong. We can’t wait to meet the people and see the nature. As for the concert, we’re going to play a mix of different songs from different albums. It won’t be just new stuff.